The skin is vulnerable to a variety of things like harmful sun radiation, dust, pollution and many more. This makes the skin lose the natural radiance and shine. It is necessary to exfoliate our skin at regular intervals so that we can protect it from the harmful effects of these attacking elements. This technique exfoliates your skin and unclogs your pores, leaving your skin feeling smooth and radiant. Although Microdermabrasion is best performed by the help of an efficient dermatologist, kits can be purchased over the counter. The at-home kits are not as powerful as professional Microdermabrasion procedures. The technique is performed using a small equipment that blasts inert microscopic crystals to gently exfoliate the epidermal layer and promote a thicker healthier dermis while smoothing and refreshing the skin. A vacuum tube is then used to separate the crystals and dead skin cells. The use of a vacuum within the system helps to increase circulation in the area. Another newer approach of procedure is where a diamond tipped wand is worked gently across the skin. Thus the skin will be exfoliated. There will be a sensation of vibration on your skin, which is the dead skin being sucked away. The purpose of this procedure is to exfoliate the skin and unclog the pores, leaving the skin feeling soft and clear. It takes around 30-45 minutes for the completion of the process. Usually few sittings (around 6-8) are needed for desired results. The sessions occur over a span of several weeks. To maintain that shiny skin, a monthly session is recommended. The technique is quite safe. It is painless and is non-invasive. The procedure only separates the superficial layer of dead skin cells to reveal the fresher, younger cells beneath. Regardless of your skin's condition, fine lines and age spots may be removed and acne scars and stretch marks will become less evident. The process is effective on all skin types and complexions. The treatment work best with people having damaged skin due to sun or environment, age spots, fine lines, pigmentation, hyperkeratosis, scars, stretch marks and uneven skin. It is suitable for patients who cannot afford to take time off for healing from a chemical peel or laser procedure or those who don't want to put off their outdoor activities like golf, tennis or other sports. Patients have skin sensitivities to chemicals or make-up can also opt for skin polishing. It is advised to stop all applications 2 days before the day of treatment. Eat a diet including Omega fatty acids, antioxidants, and Vitamins A, C. Apply sunscreen regularly before the start of the treatment for best results. All the previous medication history should be shared with the doctor performing the procedure. If you have a history of herpes (cold sores), you should inform your dermatologist prior to the procedure. You may experience some stinging, redness, irritation or burning sensation. It is also common to experience some temporary flaking or scaling, redness and dryness of the skin. Do not touch or peel the flaking skin .Apply moisturizer. It is better to avoid direct sun exposure after the treatment and also apply sun screen regularly, SPF 30+ or as advised. Refrain from saunas, steam and sunbathing for 7 a week after the procedure. You can wash your face 6-8 hours after the treatment, using a mild face wash.
For better results, a gap of 3-4 weeks between the skin polishing sessions is recommended. Abstain from any applications / make up for 3 days after the treatment. Do not use glycolic acid, Retin A, exfoliants or astringents for two days after the treatment. The cost of the treatment depends on various factors. The qualifications of the person performing the technique, location and the number of sessions needed are all factors that influence the cost of this technique. Do refer medifee.com. As a result of the treatment your skin becomes rejuvenated if it has been really dull and unappealing. It polishes and improves the lymphatic drainage of skin. The process also improves blood flow and there by reenergize the skin. It fights against ageing symptoms and makes your skin young and attractive. The pigmented skin looks really unattractive and unhealthy. The black spots and fine lines are quite common and increases with age. Pigmentation could be effectively removed using the skin polishing technique. 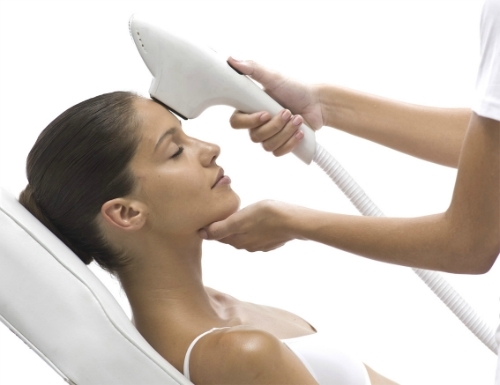 Microdermabrasion helps in treating tans and skin damage caused by exposure to harsh sun-rays. Over time, our skin accumulates dead skin cells. This process would however restrict the initiation of the nascent cell growth. Dead cells, dirt and oil create a layer on the skin which can prevent topical creams from absorbing properly. A skin polish will prepare the skin in such a way that these products can be more easily absorbed. The treatment helps remove oil and dirt accumulations that are clogging the skin pores. This prevents breakouts on your skin in future. The technique helps to make the skin radiant and clean. A polished skin looks attractive and provides a fresh feeling. Skin becomes softer, smoother and supple after the treatment. It helps in hydrating the skin thus removing the dull look. A hydrated skin provides a healthy glow and a softer, more youthful complexion. It is a wonderful remedy for skin that is delicate and sensitive to chemicals because it utilizes non-allergenic crystals to cure various skin issues. Once you polish your skin you will allow a smooth and radiant complexion to shine through. The major benefit is that your skin’s texture will feel smooth and silkier.